We saw patterns everywhere, even our routinity has patterns. I really love patterns especially polkadots, checker, gingham, flowers, some abstract patterns, geometric, you name it. 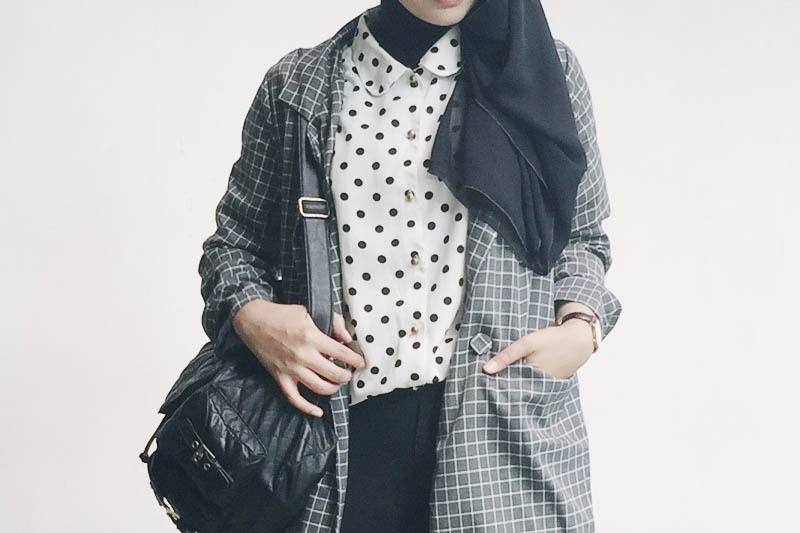 When it came to my daily hijab style actually I seldom mixing patterns onto my outfits. 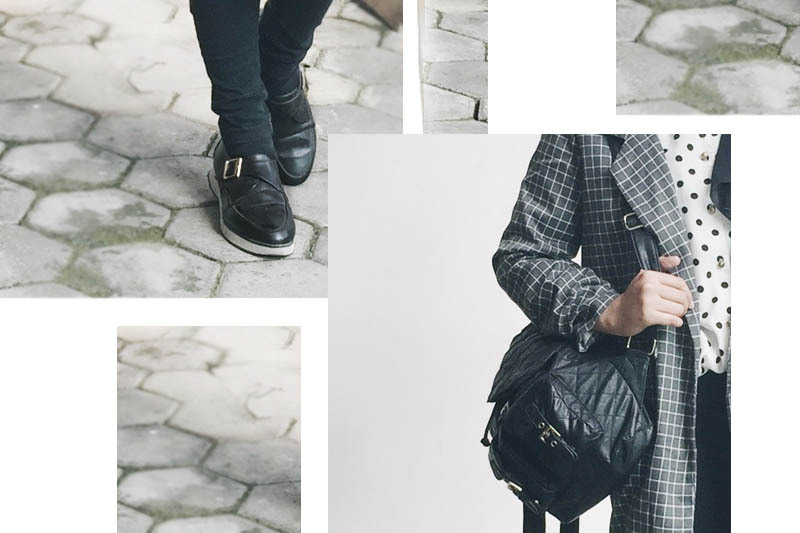 Usually I just choose one patterned piece to accentuate another plain pieces in my outfit. This time I'm in the mood of mixing patterns. Both of the patterns is my favorite, polkadots and checker. 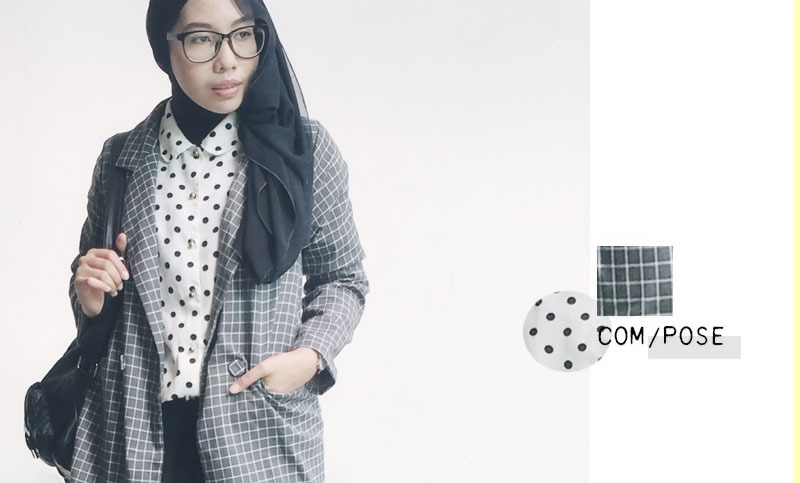 FYI, polkadots and checker patterns is one of perfect combination when you want to mix patterns onto your outfits. To make it suits my current favorite fashion style, I combined them all in monochrome color. Tell me what is your favorite pattern? Do you like mixing patterns?